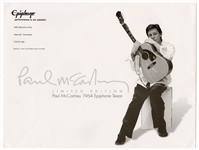 Paul McCartney signed and played original Epiphone Limited Edition Paul McCartney 1964 Texan, a replica of the famous acoustic guitar that he used to record "Yesterday" and performed with on the Ed Sullivan Show. 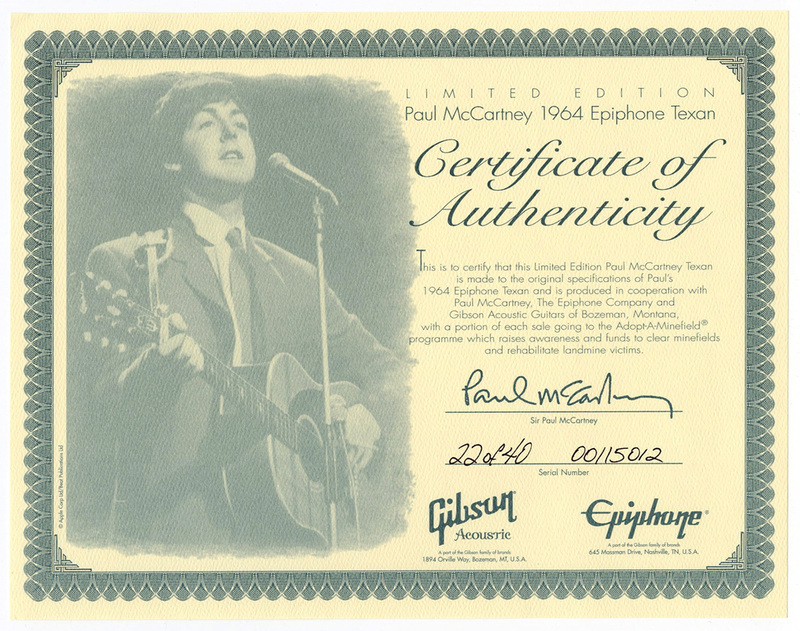 McCartney worked with Epiphone and Gibson to make that every detail of his original '64 Texan was replicated correctly. McCartney said in an interview, ""It just became kind of exciting, trying to recreate it. It's all very well getting the cracks and crannies right, but I want it to be a guitar that sounds good." McCartney has beautifully signed the guitar in black sharpie pen. 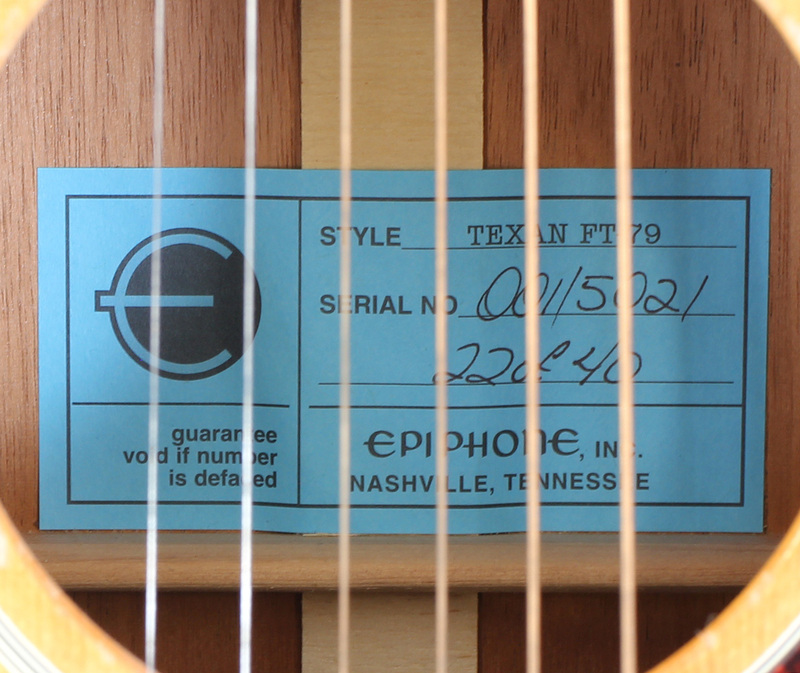 The guitar comes with a custom "Paul McCartney Epiphone 1964 Texan" Ultralight Hardcase with built-in hygrometer. 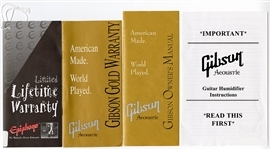 This limited edition comes with all of the paperwork, including a numbered Certificate of Authenticity (22 of 40, Serial Number 00115012), a two-sided card with a picture of McCartney with one of the limited edition guitars and description, as well as the Gibson owner's manual, gold warranty, guitar humidifier instructions, as well as the Epiphone limited lifetime warranty. 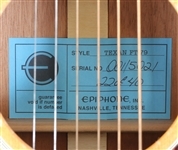 There is a Epiphone blue card attached on the inside of the guitar with the style, Texan FT-79, serial number 00115012 and edition number 22/40. 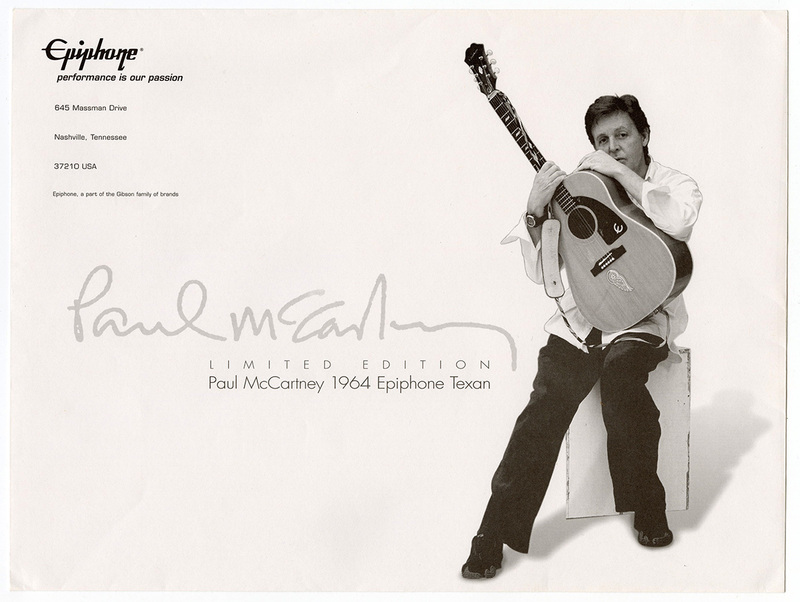 The guitar was designed to look just as McCartney had used it, so the guitar looks somewhat worn and well-used. Very good condition. 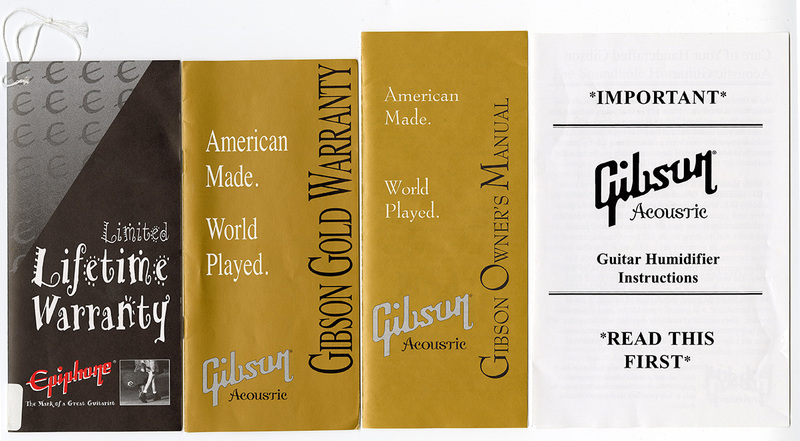 Also comes with a Gotta Have Rock & Roll™ Certificate of Authenticity.